Due to last months confirmed case of the Virulent Newcastle Disease in Redwood City, the Alameda County Fair will be canceling all of the open small animals poultry exhibits, including the show birds, display birds and sale birds. The Alameda County Fair will continue to offer the youth small animal competitions both breeding and market open to Alameda County residents only. The spread of the disease will be monitored and if a quarantine relating to Alameda County or all of California takes place the youth shows will be canceled. I have attached a letter from CDFA referring to the current quarantined counties and the link below discussing the most recent cases. 4-H is delivered by the University of California Agriculture and Natural Resource—THe University of California is part of a community of more than 100 public universities across the nation that provides experiences where young people learn by doing. Youth complete hands-on projects in areas like health, science, agriculture and citizenship, in a positive environment where they receive guidance from adult volunteers and are encouraged to take on proactive leadership roles. Youth experience 4-H in every county and parish in the country—through in-school and after-school programs, school and community clubs and 4-H camps. Getting involved with 4-H is easy and costs are kept to a minimum. Unlike other youth organizations, 4-H doesn’t require a uniform and there are no national fees. 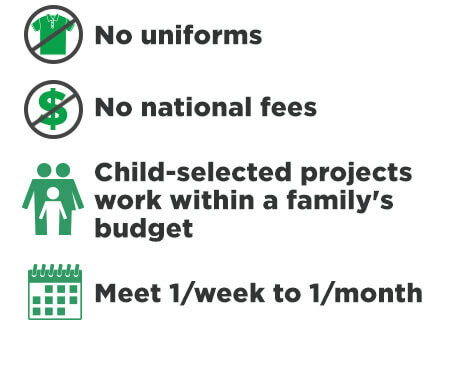 Children select their 4-H education project so they can choose one that works well within a family’s budget. 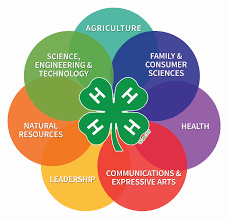 4-H programs and clubs typically meet once per week or once per month, although some may choose to meet more or less frequently. 4-H programs are available for children ages 5-18. Become a 4-H Volunteer today and help create life-changing experiences for youth in Alameda County! Join our 4-H volunteers*. They come from all walks of life. We have computer programmers, carpenters, home cooks, ranchers, scientists and teachers. Come share your experience and skills with 4-H members by leading a project. Volunteers are also needed to start a 4-H Club in your area. Contact Cheryl Fraser, 4-H Program representative, cyfraser@ucanr.edu for more information. *Volunteers are required to complete training and a background check. All adults and youth are welcome to attend the monthly Leaders' Council Meetings. We meet on the last Tuesday of the month at 7:15 pm. All are invited to attend 4-H events and meetings.